Some months ago I spotted a website of an Inn located in Wallgau, a small village in the Bavarian Alps (Germany) called “Zur Post”. With a history that goes back to the year 1621 it has had quite a long tradition and still today is a family business having been run for generations by the Neuner family. Since its opening many famous people have been guests there and the family is the proud owner of a guestbook full of autographs which testify to this fact. The list of celebrity signatures is long and quite impressive and reads like a “who is who”. The famous German poets Johann Wolfgang von Goethe & Heinrich Heine once stopped off as did international film stars like Richard Burton and Elizabeth Taylor, who enjoyed a typical Bavarian meal and Bavarian brass-band music. Many actors of the golden German film era like Hans Söhnker, Heinz Rühmann and Johannes Heesters, to mention only a few, were guests there as well. Even members of the aristocracy and some high-ranking politicians can be numbered among the guests. Why do I tell you this? Well, because Mario Lanza was a guest there in 1958. 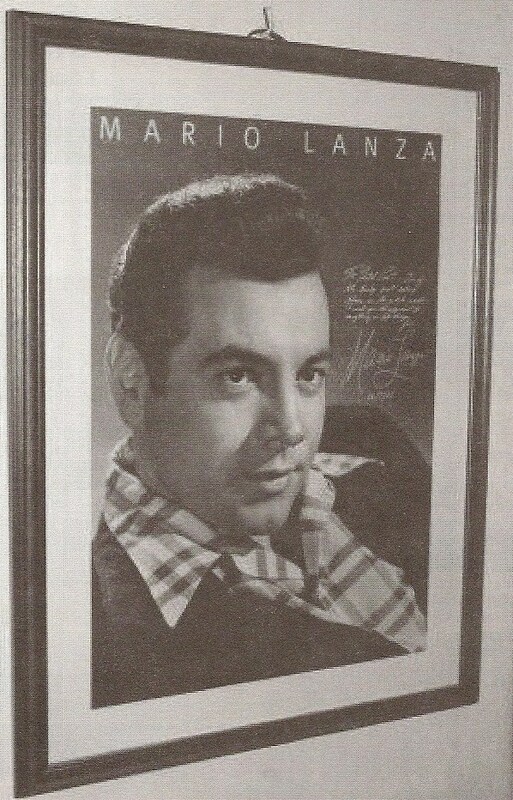 When I discovered this “news” I contacted Mrs. Annette Neuner, the Inn senior, and after a few phone calls she gave me permission to have Mario’s autographed photo printed in the Lanza Legend Newsletter. As you can see the photo is framed and hanging on the wall for everyone to admire it. The Inn is not far away from Walchensee (which I was told is a lake as well as a small village) where Mario stayed at the same named sanatorium to undergo a medical treatment. Those of you that might visit Bavaria should visit the Inn and have a look at the photo and the guestbook as well. 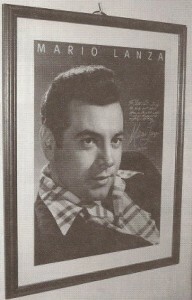 I was told that for many years an avoid Mario Lanza fan regularly visited the Inn, mainly because of Mario’s autograph.